Many products in many sectors of industry exist in colloidal form and there is a requirement to measure the dispersed phase particle size distribution (PSD) non-invasively for the purposes of product and process quality assurance. Ultrasonic compression wave attenuation is sensitive to, inter alia, PSD, and could be applied on-line in a process plant. 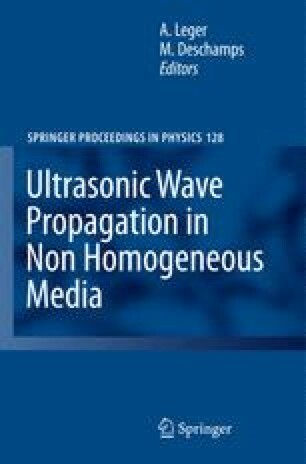 The ultrasonic method is based on adaptively fitting models of wave propagation to measured data. These models break down at high colloidal solids loading. This paper discusses the physical phenomena behind this failing and identifies a requirement for new formulations of local colloidal viscosity in the vicinity of suspended colloidal particles. Ultrasonic attenuation when calculated on the basis of a number of different viscosity models is compared to measured data and the model failings are thus illustrated. Empirical studies are presented which show possible forms of the viscosity - particle concentration - frequency relationship.